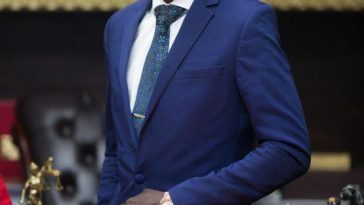 TV3 broadcaster, Nuong Faalong has written a lengthy piece on the Menzgold / SEC / BOG trending story. 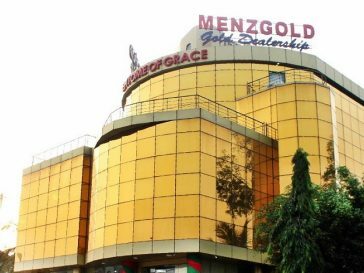 According to Nuong, Menzgold is a ponzi scheme and should be shut down by authorities. It’s the 4th chapter of Ghana rising, and I want to tell you an old story! See there’s a story told of a lot of monkeys who lived near a village, it is said that one day a merchant came to the village to buy these monkeys; he announced that he would buy the monkeys for a 100 cedis each. The villagers thought he was mad; they could not fathom how somebody would buy stray monkeys for a hundred cedis each. Nonetheless, their greed got the better of them and they saw it as a great opportunity to make money. Some villagers went out, caught a few monkeys and gave them to the merchant and truly, he gave them a 100 cedis for each monkey. 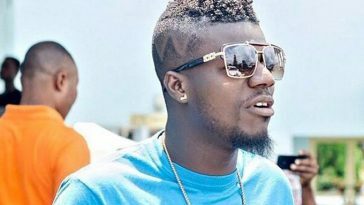 They spread the news like wildfire and more people caught more monkeys to sell to the merchant, After a few days, the merchant announced that he would now buy monkeys for 200 cedis each. Even the lazy villagers now ran around to catch the remaining monkeys and sold them for 200 cedis each. Then the merchant announced again that he will buy monkeys for 500 cedis each. The villagers started to lose sleep! They went out to catch more monkeys but only a few were left, they found some six or seven monkeys and indeed, got 500 cedis for each one. And as sure as day, the next announcement came, the merchant said he was going home for a week and when he returned he would buy monkeys for 1,000 cedis each. The merchant went home and the villagers were very sad as there were no more monkeys left for them to sell at 1,000 cedis each. Then the employee sneakily told them he will secretly sell the monkeys for 700 cedis each. Again, this news spread like wildfire, they reasoned that since the merchant will buy monkeys for 1,000 each, there is a 300 cedis profit for each monkey. The next day the villagers made a queue near the monkey cage and the employee sold them all the monkeys for 700 cedis each. The rich bought monkeys in big lot, the poor borrowed money from money lenders and also bought monkeys. They ran to the employee, but he had already left too. The villagers then realized that they had bought the useless stray monkeys for 700 cedis each and were unable to sell them. They were stuck with the useless monkeys and the merchant was long gone with their monies. Any business that has no clear product or service IS MONKEY BUSINESS. If a ‘business man’ presents you with an unrealistic model of returns on your investment, promising abnormal profit within a short period, especially in an economy where such returns are impossible, clearly, a rational investor should be suspicious. The ultimate goal of that scheme is to dupe you by playing on your investment naiveté and probable greed for the most returns in the shortest possible time. How do you spot Dubious Investment Schemes? • Most investments will explain to you the volatility of the market and the inability to maintain constant returns over time. Any investment that promises fixed returns no matter the state of the market is suspicious. • In Investment, risk is part of the business and the higher the returns, the higher the risk. Dubious / Ponzi Schemes however promise you high returns with no associated risk. Ponzi Schemes will literally GUARANTEE hundred percent risk free high returns, dazzling you with unrealistic and unsustainable percentages. • If you get suspicious, feel free to ask your investment broker to show you their license, investment firms in Ghana are licensed by the Securities and Exchange Commission, (SEC). If they have another state regulator’s license, ask to see it. You may also call the SEC directly to check the status of the firm you are dealing with. If the business is unregistered, feel free to call it a PONZI SCHEME. The state has a stake in holding investment firms accountable and ensuring that they operate within rational rules, if the firm you are dealing with is not regulated, they are likely operating under guerrilla tactics. • Who is your investors’ auditor? Ask them. If they cannot provide one, be weary. • Confusing contracts, vague information, secret strategies and surreptitious paper work are clear signs of scams and Ponzi schemes; you owe it to yourself to be smart enough to avoid being conned. 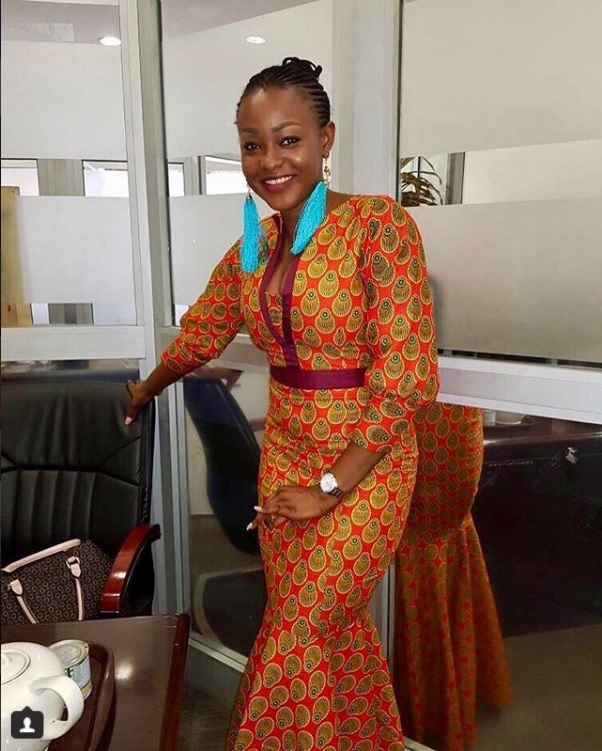 • The schemer’s office or premises may get flashy and plush as more people invest, remember this is in no way an indicator of a profitable business, the schemer is simply using old deposits to attract new investors by painting a picture of overnight success. The schemer may also begin to bankroll charity work and entertainment such as sports or music, or film. This is all part of the scheme to catch majority attention and appear genuine. • Ponzi Schemes END WHEN THERE ARE NO NEW CLIENTS. Once your supposed investment firm gets discovered and has no new investors, they clutch at ways to make your contract with them void. The firm will find new waysto stop you from cashing out; this is simply because Ponzi Schemes revolve around robbing a new client to pay the old client. By receiving new clients, their scheme keeps going. When this stops, they cannot afford for you to cash out, they cannot afford to pay your dividends either. That should make you know that truthfully, your money was never being invested, the schemers/ criminals/ con men/ fraudsters were using your money to pay themselves and some of it to pay people who invested before you, just as your dividends were paid using a new investor’s money. They keep up that cycle long enough to attract high profile clientele and bigger deposits. It becomes a pyramid, the first tier gets paid by the second tier and the second tier gets paid by the third and so on. Eventually, it gets complicated and the schemer loses control and starts having liquidity problems. It hits crisis when the schemer can no longer find new investors because the law has caught on or the public has wised up. The basic blue print of a Ponzi scheme can be applied in many different ways but the principle is the same; a grand scheme that eventually dupes you. 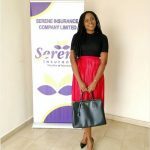 What are the common examples of Ponzi Schemes in Ghana? In 2015, Diamond Micro finance defrauded some 5000 Ghanaians off billions of Ghana Cedis. Chief Executive Officer of DKM Diamond Micro Finance and four others were implicated for defrauding by false pretense. All people implicated were also executive members of Care for Humanity Fun Club International, based in New Jersey in the United States of America but with a branch at Nkoranza. DKM promised high returns of 60 percent to investors over a period of two months. DKM Financial Service diverted an amount of 77.2 million cedis of its customers’ deposits to run its subsidiary companies some of which were DKM Airline Company, DKM Fuel Station, DKM Transport, DKM Shea Butter Company and DKM Mining Company. An audit carried out on the company by the Financial Intelligence Centre (FIC) confirmed misreporting, mismatches of assets and liabilities and a weak governance structure. Although DKM collected 115.2 million cedis from customers, DKM really had only 10.8 million cedis in its accounts with no way of accounting for the outstanding. MTN had the misfortune of having their network used as a platform for this scheme. The Ponzi scheme, savannah Brokerage asked customers to contribute to their investment via MTN mobile money. MTN uncovered the suspected Ponzi scheme after several complains and suspicious cash movements. The Telco then froze the wallets and reported the case to the police and the regulator for investigation. The regulator through the Police and Financial Intelligence Centre is currently investigating the investment scam. Customers of the scam could not help with investigations because the company had no face, no physical address and no direct contact. All investments were carried out wallet, to wallet. The only positive news was that MTN froze 12.096 million cedis in the destination wallet and disbursed that among victims of the scam. MMM Ghana operated through a virtual office in Accra and other regions. The company would send out smartly dressed officers visiting individuals in their homes, shops and offices to convince them to make deposits. Why do we call dubious investment schemes Ponzi Schemes? The name ‘Ponzi’ was named after Charles Ponzi, the world’s most notorious schemer, who as early as the 1920’s, scammed people by promising them 40pc returns on their investment in just 90 days. Eight times the interest in a savings account. He told his victims his system of investment was to make profit by taking advantage of the difference in exchange rates between the dollar and other currencies to buy and sell international mail coupons at a profit. By May 1920 he had made $420,000 ($6.13 million in 2018 money).Investors bought into his idea so much that he was approaching a million dollars in new deposits per day. When his scheme eventually collapsed, he had only ever purchased about $30 worth of the mail coupons on which the scheme was based. On Friday while I was at the east legon office of Menzgold, Some clients who spoke to me on record said Menzgold up until the 12th September letter form the SEC was paying them hard cash over the counter. It offered interest rates as high as 12 percent monthly. Many clients insist they received as much as 15 percent and more in the early days until investors increased. 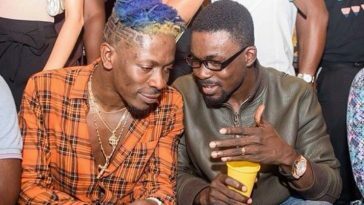 Was Menzgold offering high yields to attract high profile clientele and more investment? What do you think? Is there a clear commodity or service? While customers of Menzgold claim the firm buys and sells gold, the contract between Menzgold and these investors states the commodity of trade as Aurum Utalium. That’s where it gets suspiciously dubious. This contract was signed by both learned and unlettered people who were mainly eager to start making gains and for which reason, did not pay attention to the terms of the contract. This is in no way a genuine reference to gold;it refers to a fraudulent yellow, shiny metal that contains no gold. It has no precious value, the commodity is worthless, and any dealer who signs a contract with you stating the commodity as “Aurum Utalium” is not a dealer. A licensed dealer knows it is illegal to misrepresent gold as a precious metal. Gold cannot be referred to as “Aurum Utalium” but “Aurum”. What clients have with Menzgold is at best, fool’s gold. Per this contract, if you choose to retrieve your investment from Menzgold, they are under no obligation to give you Gold because you really have no gold with them. You have some amount of shiny metal which you must accept because you signed for it. Clearly Menzgold already has an exit strategy. The firm has explained: “As a result of the shutdown of the gold trade business, the firm cannot process any kind of termination on the gold vault market until a healthy restoration is determined by the courts since they have filed a suit already,”. That notwithstanding, the company says it will resume payment of dividend to its customers Friday September 28, after the exercise was placed on hold following the directive from the Securities and Exchange Commission (SEC). Again they say: “We have set up a payment schedule starting tomorrow, Friday, September 28 to be circulated to all our customers. Customers are encouraged to only visit their branches on the date of their collections as the schedule will strictly be adhered to, to avoid overcrowding at the branches. Remember that according to Menzgold, contracts cannot be terminated while the case is in court. Dividends also cease to accrue because they insist the vault remains shut after the SEC’s intervention. 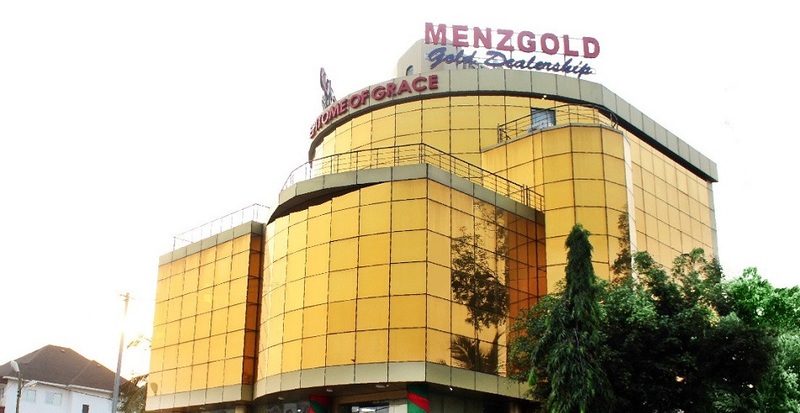 Is Menzgold spinning stories or buying time? You tell me. Is Menzgold a Ponzi scheme? Well, does it walk like a duck? How can Ghana Rise out of this Scourge? • It is the first time I will assign full blame to the regulator and security agencies that have had full information available to them for years and yet been completely limp. The Bank of Ghana did issue notices to the public but who explains these notices to the unlettered investor? In November 2017, the Bank of Ghana (BoG) via a notice cautioned the public against transacting business with Menzgold Ghana Company Limited (Menzgold). The notice further stated that anyone who continues to transact business with the company “does so at his or her own risk, and the Bank of Ghana will not be liable to such clients or depositors in the event of loss”. The BoG said the company’s activities violated Section 6(1) of the Banks and Specialized Deposit-Taking Institutions Act, 2016 (Act 930). The central bank on August 6, 2018 followed up with a similar notice. 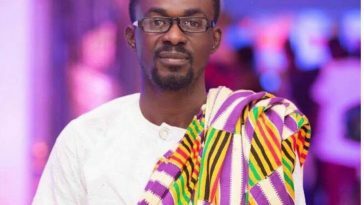 Menzgold has continuously insisted that it has not violated banking laws of Ghana. Issuing a statement on August 7, 2018, stating it does not “accept deposits from customers or carry on deposit-taking business in Ghana”, insisting that its activities are “restricted to allowing customers to purchase gold or deal in gold as an alternative investment” and that these activities fall outside the scope of Act 930. Note the BoG has every power to impose fines on a company and its directors who operate a deposit-taking business without a license. There is also an associated prison term of not less than two years and not more than four years for directors and individuals found to have violated section 6(1) of Act 930. Clearly, the Bank of Ghana and the SEC failed to protect the naïve investor until the 12th of September. Ghana’s financial sector regulators need a higher hand that forces them to perform in good time. We need the regulatory bodies to be strict and timely and innovative in their approach to financial crime where the law fails to give clarity. The regulator also needs a strong presence from the smallest village in the north to the south, not just in big cities, but intelligence down in the rural areas. I have received questions from footballers, business men and foreign investors, wanting to know what to do about their deposits at Menzgold. I have no answers for you, if you have millions of Ghana cedis with the firm, you truly are in a sensitive situation and should be seeking legal advice. • Greed management and Financial literacy; it is clear many Ghanaians are ignorant about the financial sector. We need state sponsored education, although expensive, it’s least costly in the long run. Financial literacy must be taught to make it easy for Ghanaians to spot monkey business. • Strict Punishment of Financial Criminals. When criminals are identified and both the police and regulator appear to be working with kid gloves, it emboldens other criminals. Criminals ought to face the law even if they are able to refund all monies they collected from victims. • When all these warnings fail, and you are tempted to invest in a dubious scheme, invest only what you do not mind losing. It should be noted that aside loss of money, there’s the loss of lives when people lose a lifetime of savings to criminal schemes.